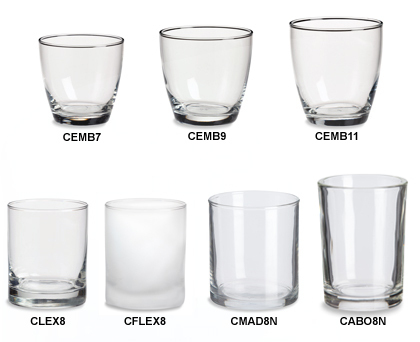 Our glass candle jars without lids are made with heat treated glass and are produced to exacting quality standards so that your finished product is as picture-perfect as possible. We are pleased to offer a frosted version of the Lexington Jar which is a real stand out for luxury scented candles. These candle jars can also be used for inexpensive glassware or easy home décor and organization. Order in bulk for wholesale pricing or just a few for personal use.